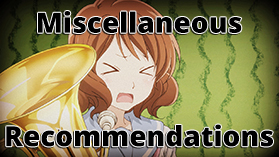 This week’s post is basically some soundtracks that aren’t among my favorite soundtracks. But they’re still pretty good! Since I probably won’t do many proper music reviews, I figured I’d throw in a short weekly thing to add my quick thoughts – these will only be a few sentences, so you can just look through it very quickly if you’re interested.